Emotional Impact on Health Behavior Adherence After Bariatric Surgery: What About Positive Psychological Constructs? Health behaviors are critical for weight loss maintenance after weight loss surgery (WLS), and emotional factors often play a role in adherence. Positive psychological constructs (e.g., optimism, positive affect) have predicted health outcomes in other medical populations but have been infrequently examined in post-WLS patients. This study measured optimism and positive affect in post-WLS patients recruited from online support groups. A hierarchical linear regression analysis tested their association with health behavior adherence, physical activity, and weight loss, controlling for demographic and weight-related covariates. It also tested depression and anxiety symptoms as moderators. In 95 participants, positive affect was associated with better adherence (b = 0.41, p < 0.01) and greater moderate-to-vigorous physical activity (b = 0.20, p < 0.001) controlling for demographic/weight-related covariates, and independently with more weight loss (b = 0.24, p < 0.05). Optimism was independently associated with better adherence (b = 0.32, p < 0.05) and with greater moderate-to-vigorous physical activity controlling for demographic/weight-related covariates (b = 0.16, p < 0.05). These associations no longer reached statistical significance controlling for depression and anxiety symptoms. Anxiety symptoms moderated the relationship between positive affect and adherence (b = 0.06, p < 0.01), and depression (b = 0.15, p < 0.01) and anxiety (b = 0.02, p < 0.05) symptoms each moderated the relationship between optimism and walking, such that there was a stronger relationship between positive psychological constructs and health behaviors for those with higher anxiety or depression scores. Positive psychological states should be included when assessing emotional factors related to health behaviors in post-WLS patients. Interventions targeting health behaviors may be improved with inclusion of skills to boost positive psychological states. Wakayama L, Nameth K, Adler S, Safer DL. 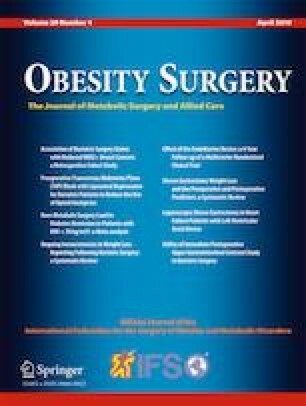 Replication and extension of dietary adherence as a predictor of suboptimal weight loss outcomes in post-bariatric patients. Surg Obes Relat Dis Elsevier Inc; 2019. https://doi.org/10.1016/j.soard.2018.10.029.